Home Entertainment Supporting Each Other, What Is the Relationship Between Lee Joon-gi and IU? Supporting Each Other, What Is the Relationship Between Lee Joon-gi and IU? What’s the Relationship Between them? At the drama’s press conference, Lee Joon-gi has said that he was impressed by IU’s acting. He has also said that he started having a lot more trust in IU’s acting after filming had started. IU is able to make the role completely her own. He even said that he was able to lean on IU as an actress, which gave him an opportunity to focus on his character while they were working on the 2nd and 3rd episode. He is really thankful for her. So, it is clear that Lee Joon-gi and IU are nothing more than friends. Lee Joon-gi and IU have a kiss scene in the 9th episode of the drama Scarlet Heart: Ryeo and their scene has been a much-talked-about topic. In the behind the scenes video, Lee Joon-gi looked very careful by helping IU find the right angle. Also, Lee Joon-gi and the crew members celebrated IU’s birthday after the shooting. Here are the videos of behind the scenes and their kiss scene, if you want to take a look. Seeing Lee Joon-gi carefully handling the kiss scene and helping IU probably made IU comfortable to act with him and even made them closer. Their fondness looks very suspicious as they look very close to each other. 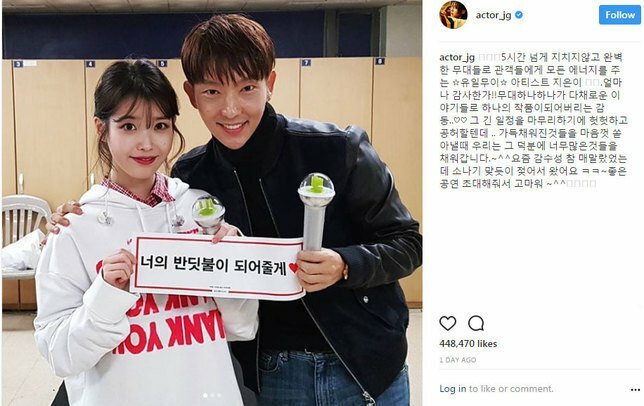 Lee Joon-gi attended IU’s closing concert in Jamsil Arena, Seoul that lasted for five hours and IU even added two more songs at the encore. He even took a picture with IU backstage, after the concert. 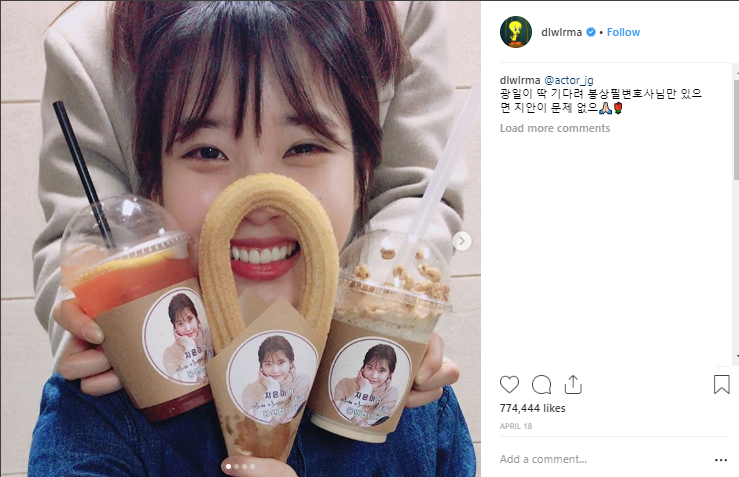 Lee Joon-gi also gave IU a special gift showing his support for her drama My Mister. The special gift was a food truck which served coffee and sweet snacks. 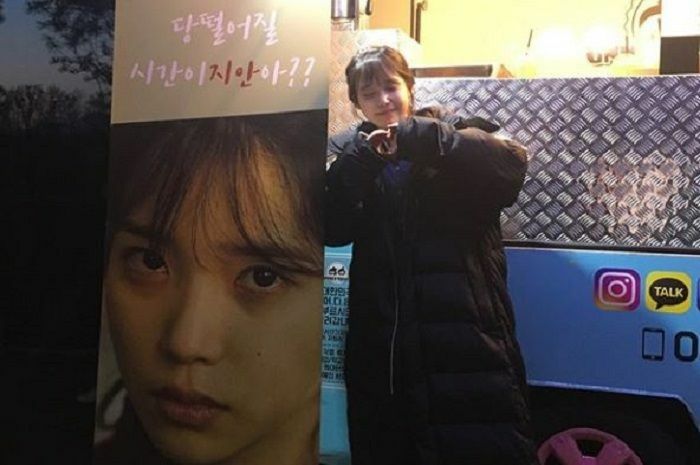 “I support Ji Eun and the team of My Mister,” was written on top of the truck. So, that’s the whole truth about Lee Joon-gi and IU. Even though they look close and support each other, they are just friends, nothing more than that. We should also support their friendship, shouldn’t we?